Norakuro is a black dog who has joined an army of white dogs. ‘Private 2nd Class Norakuro: The Drill’ is a silent film with a strong 1920s design. Norakuro had been a manga star first, making his debut in 1931. Norakuro is drawn sympatherically, and is a relative of silent stars Bonzo and Felix the Cat. In this film, Norakuro’s first, his antics are pure for fun, lacking any moral or military subtext, even though it’s a film about the army during the militaristic Shōwa period. Norakuro would star four more films (1934-1938), which would become increasingly propagandistic. 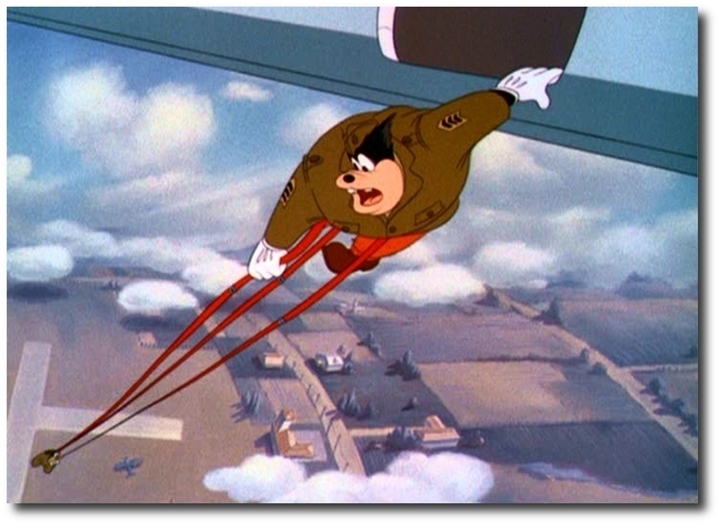 The comic strip lasted until 1941.Unfortunately, Murata’s drawing style is less impressive than in other films, and the film a little too long and mildly amusing at best. In this Screen Song Les Reis and Artie Dunn, a.k.a. The Wandering Minstrels, make their screen debut to sing the World War I title song by Irving Berlin. 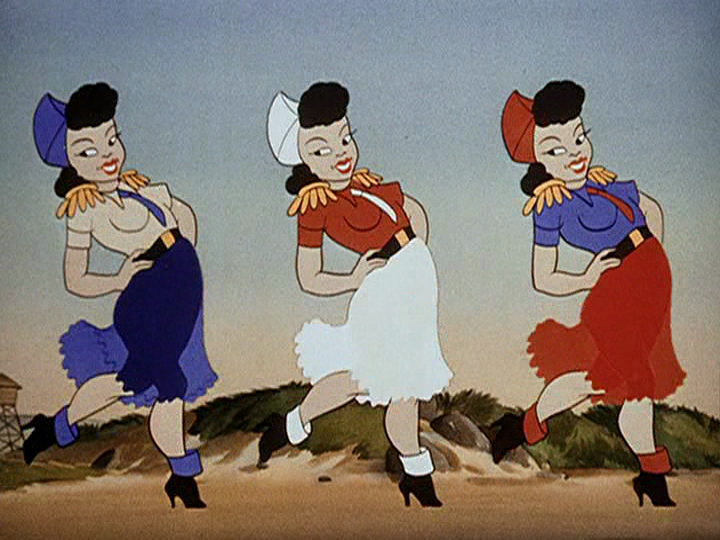 The cartoon sequence contains many military gags, while Betty Boop introduces the bouncing ball. The most interesting part of this mediocre cartoon is the morning scene, in which we watch trees, a cannon, and even fire and smoke waking up. 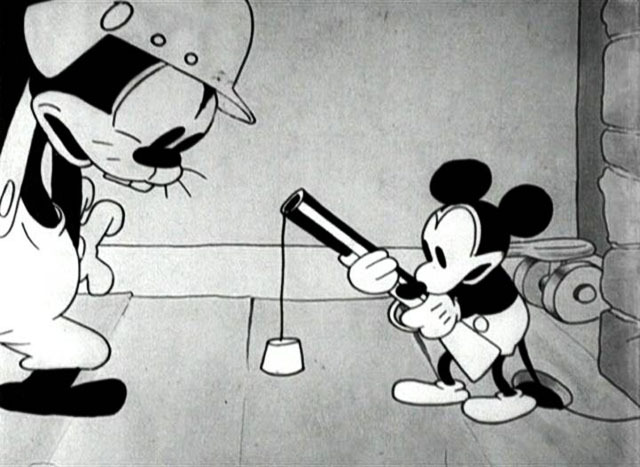 Betty Boop already had her picture featured in ‘Any Little Girl that’s a Nice Little Girl‘, and Kitty from Kansas City in the Screen Song of the same name could also have been her, but it’s this cartoon that marks Betty Boop’s first appearance in a Screen Song, underlining her popularity in 1932. She would appear in six more Screen Songs, the last being ‘Popular Melodies‘ from 1933. 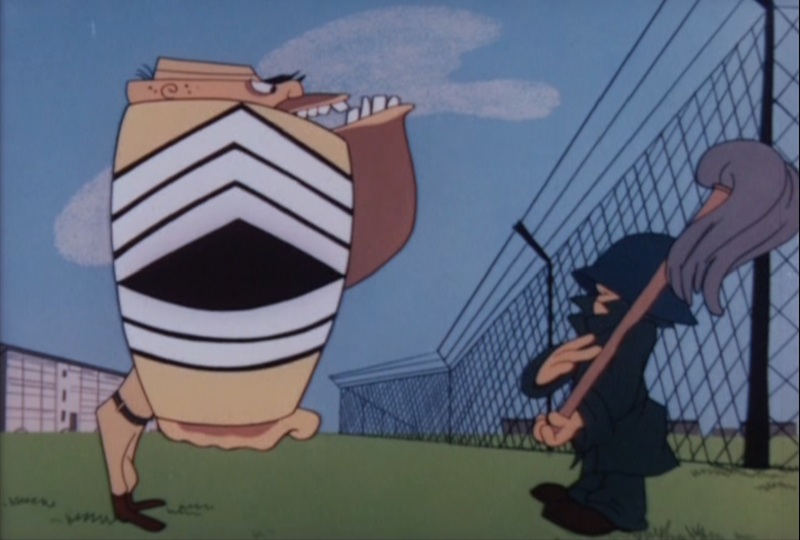 ‘Drafty, isn’t it’ is the second of two propagandistic advertisement shorts Chuck Jones made for the US Army in the late 1950s. Like its predecessor, ‘90 Days of Wondering‘ (1956), it stars a young adult form of dreamer boy Ralph Phillips. In this short Ralph Phillips has nightmares about all his ideas of adventure being blocked by a giant shadow of a soldier beckoning him. Then he’s visited by an army pixie who elists some fictions and facts about the army. The cliches, of course, are the most hilarious. 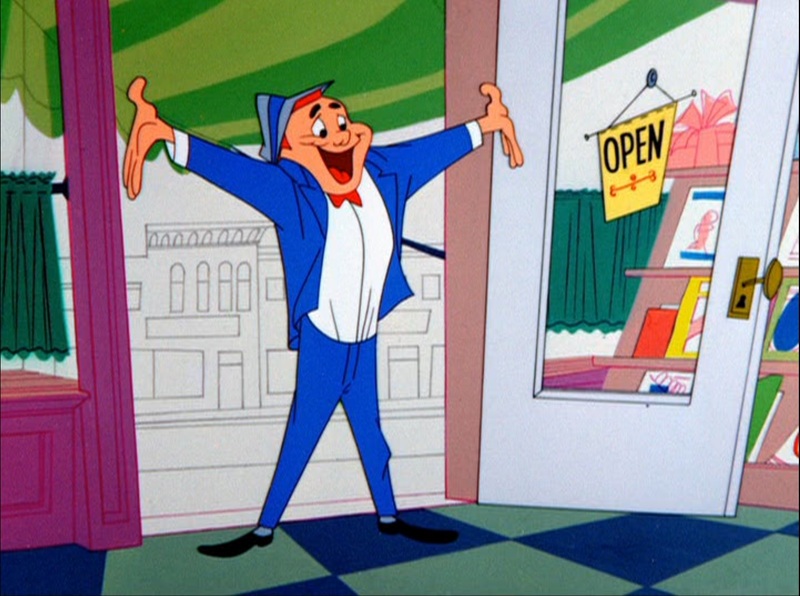 This short also contains a very Tex Avery-like running gag in which he pixie repeatedly has to put Ralph’s dog to sleep by singing it a fast lullaby. ‘Drafty, Isn’t It?’ is a well-made and beautiful film, and it would have been more enjoyable were it not so sickeningly propagandistic. Pluto has joined the army, and wearing a helmet, he has to protect “the pillbox” (a canon) against saboteurs. These appear to be two little chipmunks who use the canon to crack acorns. Pluto tries to fight them, but the two critters defeat him in an unexpected ending. ‘Private Pluto’ is the second of two World War II-themed Pluto cartoons (the first being ‘The Army Mascot‘ from 1942). 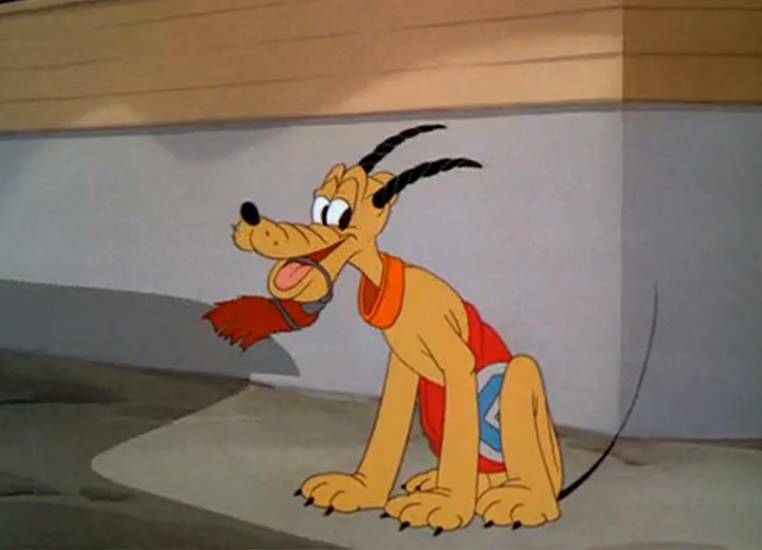 It was also to be the last Pluto cartoon directed by Clyde Geronimi, who promoted to sequence director in Disney’s feature films. 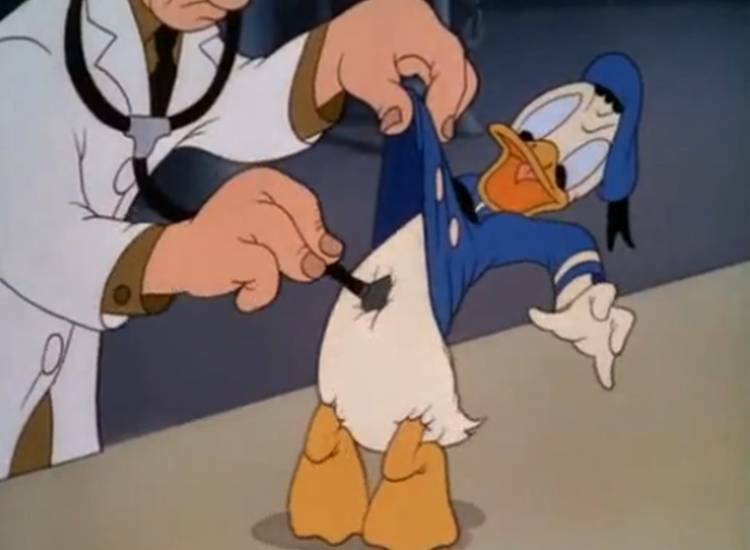 Geronimi was succeeded by Charles Nichols, who seemed to be more comfortable with the character and who would direct every Pluto cartoon save one from then on. 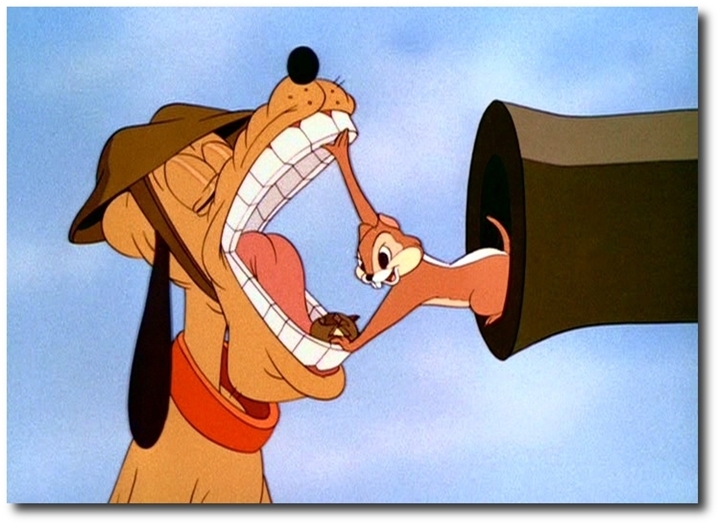 ‘Private Pluto’ is an important cartoon, because it introduces those famous chipmunks, Chip ‘n Dale. They’re not named yet, nor are they two different characters here, but their mischievous behavior and their hardly comprehensible jabbering are already present, and they’re certainly instantly likeable. 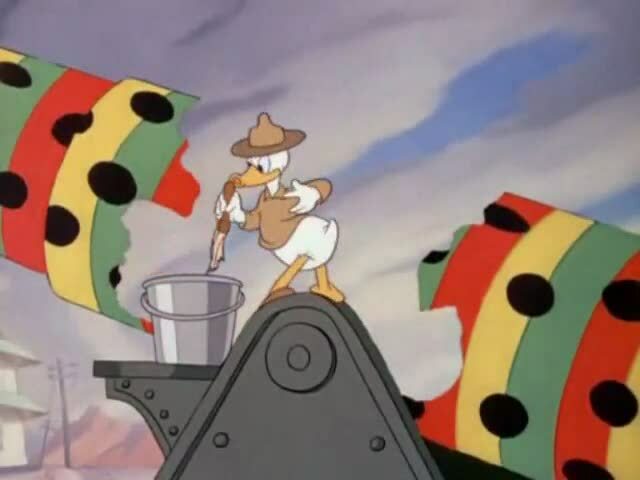 Chip ‘n Dale would eventually become Donald’s adversaries, but Pluto, too, would re-encounter them in three cartoons: ‘Squatters Rights‘ (1946), ‘Food for Feudin’‘ (1950) and ‘Pluto’s Christmas Tree‘ (1952). ‘Private Pluto’ is interesting in its own right, for it shows the line of coastal defense the United States had placed at the Pacific Coast in the years preceding the war. After the attack on Pearl Harbor it had been placed on high alert (thus Pluto’s job), but luckily there was no need ever to use it.